I've been painting for about six years. I primarily paint on-site (en plein aire). These are watercolor 'sketches' which allow me to create my own visual memories of my travels. I've found they improve my quilting because they cause me to slow down and observe more closely. Recently I've been creating studio works from my on-site studies and also creating still-life paintings. I love to travel, and lately have been traveling in my little Airstream trailer instead of traveling to Europe. Since I'm in parks and love trailers, they've become my new favorite subject. 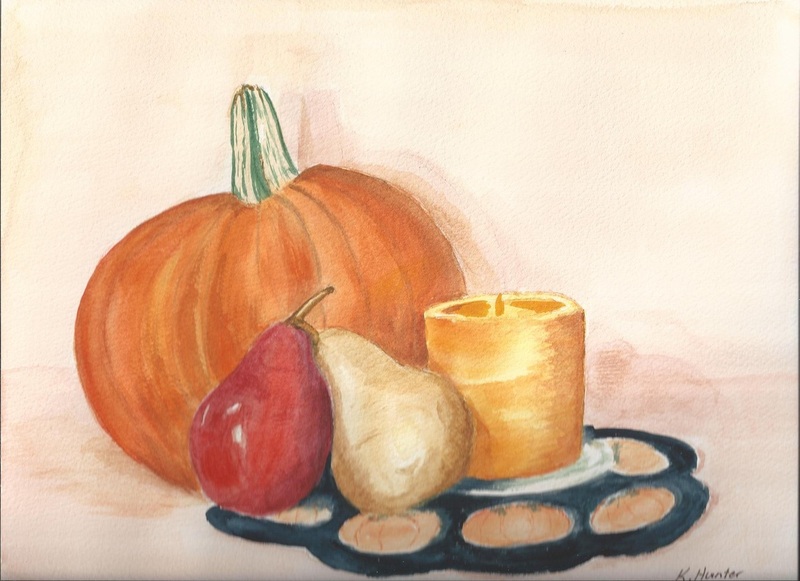 Several still life paintings will be on display at the Hye Meadow Winery, in Hye, Texas, through the 2014 winter holidays. The three trailer paintings will be at the Die Kunstler show, November 7-9, 2014, in Fredericksburg, Texas. Some of my paintings are available for sale, please contact me if you are interested. Studio painting developed from plein aire study. 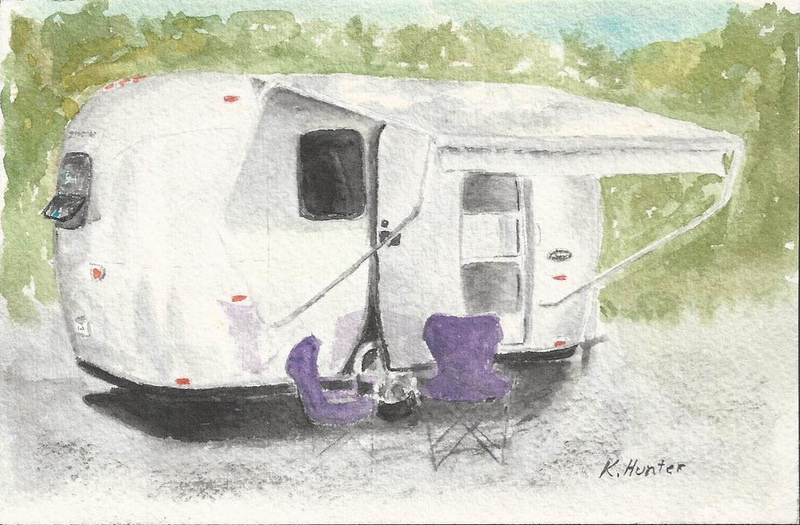 Plein aire painting of 25 foot Airstream trailer at South Llano State Park. Studio painting of 63 Shasta trailer. 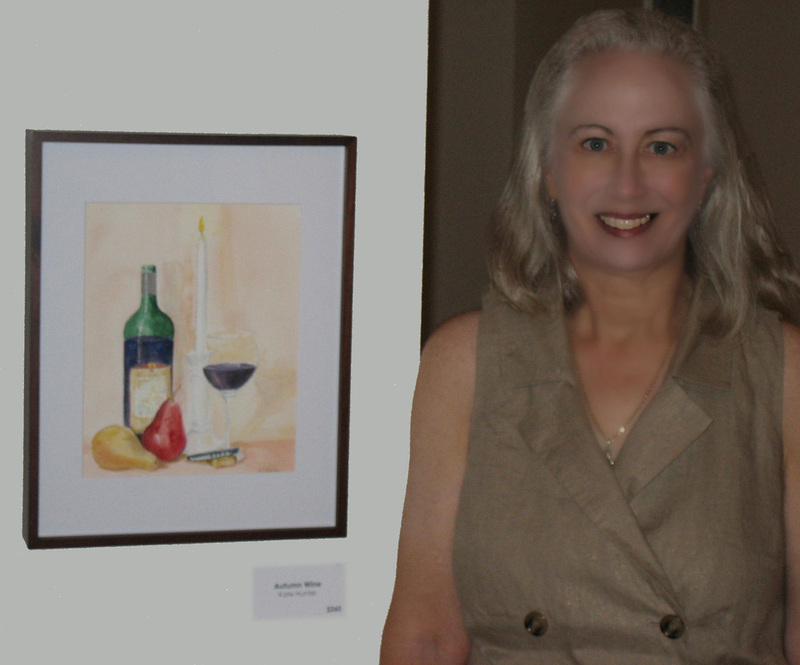 At the Guadelupe Watercolor Group 2013 show at the Kerrville Arts and Cultural Center (KACC). My 17 foot Airstream - my silver marshmallow. Siena street scene painting on location in 2011. Etruscan Gate painted on location in Volterra, Tuscany, in 2011.